Successfully Added Cute Cube MP3 Player - 2GB - Mini LED Display to your Shopping Cart. If you are in the mood for a different MP3 than all the other standard models that you have seen out there, look no further. 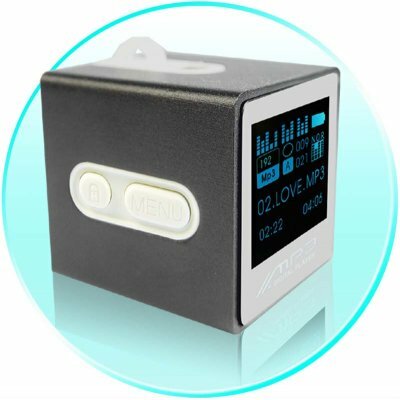 The Cute Cube supports MP3 and WMA music format, and ASF audio file. It is also a powerful resource manager which allows copying, pasting, removing and other functions. A definite must buy if you like your products to be just a little different.. Drivers and Utilities mini-CD (Drivers for Windows 98. More recent versions of Windows don't need drivers). Comes packed in sturdy retail packaging box.